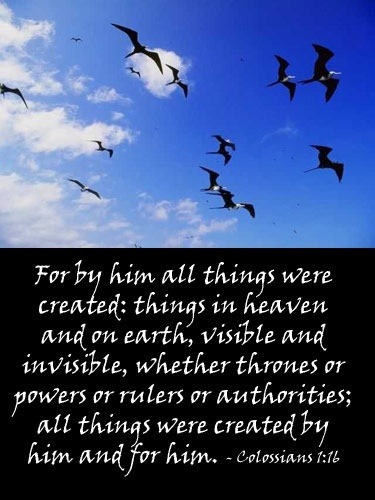 This unchanging nature is also attributed to Jesus Christ in the letter to the Hebrews. 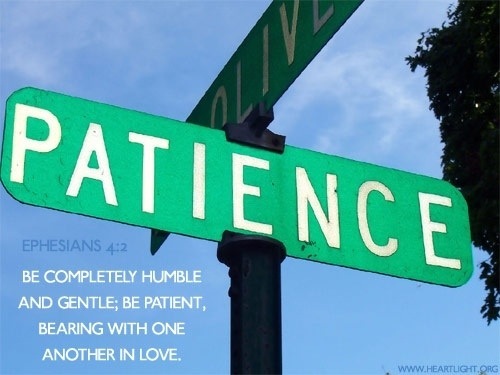 But what are the implications of this attributes for us as believers? God will not change His mind about our salvation. Jesus Christ is not a fickle savior. He does not save us only to change His mind when we don’t measure up. Some may quit on God, but they are not lost because He kicks them out. They are lost because they left. God will not change His Word. 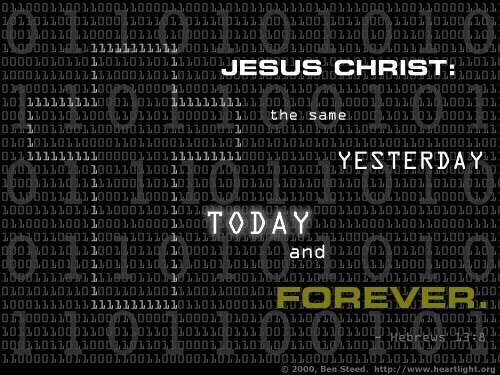 The words that have been spoken by God are eternal. God cannot lie, if for no other reason than whatever He says instantly becomes reality! If you are standing on the promises of God found in His Word, then you can rely on those promises because God’s Word is immutable! God does not change His mind about worship. When God indicates that He desires and blesses acts of worship, He does not come along later and decide He doesn’t like them any more. Well what about the sacrifices of animals in the Law of Moses? Surely God no longer desires or requires that, does He? Well yes, the principle still stands. Without the shedding of blood there is no forgiveness of sin (Hebrews 9:22). When God says to sing praises to His name, He still delights in such. When the Psalms speak of praising The Lord with instruments (Psalm 150), He has not reversed His preferences and decided it is now a sin to do so. Worship is about what God wants, not what we want, and is based on His immutable nature. No matter what situations and circumstances life throws at us, we can rest in the immutability of God. God is our anchor and a rock that we can rely upon. And so we love, honor, and worship the unchanging One as we go through the struggles of life. God is the One we can count on to be constant and sure. So let us place our trust and faith fully in His unchanging character to carry us through. 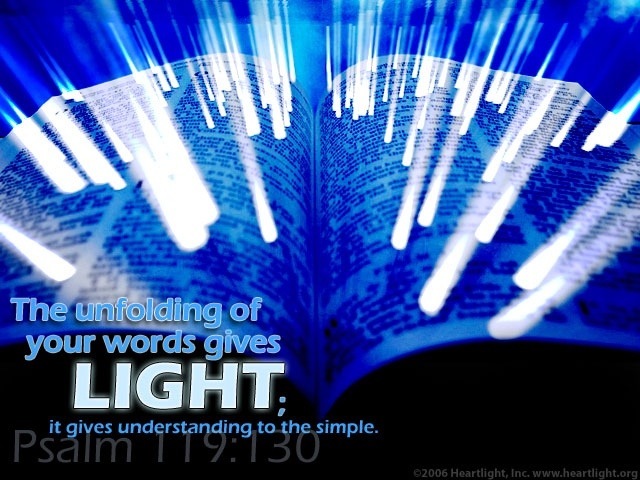 The Old Testament is replete with types and shadows that were fulfilled in Jesus Christ. One of those Old Testament symbols of the covenant was circumcision. Circumcision was so integral to the Old Covenant that the concept of an uncircumcised Jew was unheard of. In Paul’s letter to the church at Colossae, he says that baptism is the spiritual fulfillment of circumcision. 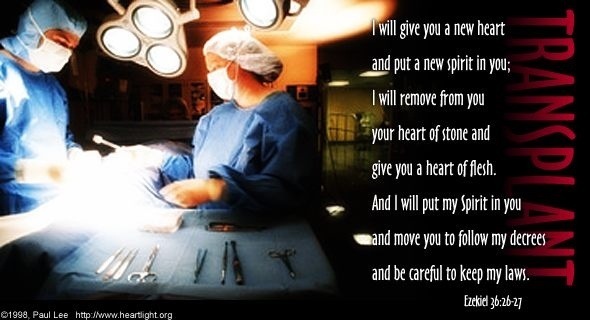 Now that we are in the New Covenant with Christ, we experience a circumcision that is spiritual and of the heart. And according to Paul, this spiritual circumcision occurs at baptism. Fittingly, the concept of an unbaptized Christian is just as foreign to the New Testament as an uncircumcised Jew was to the Old Testament. But is this verse in Colossians saying that baptism is what saves us? Well, was Abraham declared righteous before being circumcised or afterwards? According to Romans chapter 4, at what point was Abraham declared righteous? It was Abraham’s faith that caused him to obey the commandment of God and be circumcised, and it would be accurate to say that if Abraham had refused to obey God that he did not have faith. His obedience proved his faith. In the same way, we are declared righteous when we have faith, and that faith is proven, or validated, by our submitting to baptism. Thus, salvation is by faith, and that faith is shown by our baptism. Righteousness comes by faith, and is not of works. We are saved by faith, not by faith plus a ritual. But that sign of the covenant must not be diminished or disregarded, either. Just as faith without obedience is out of context, obedience without faith is useless as well. But the connection of the old circumcision to baptism is clear. 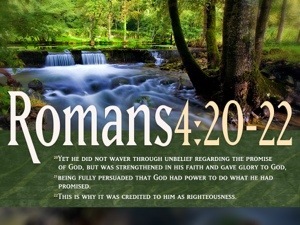 And Abraham was declared righteous because he believed God before he was circumcised. In the same way, we are declared righteous when we believe, and we submit to the sign of our covenant relationship when we are baptized. Failure to do so proves we didn’t really believe in the first place. The Word of God has nothing good to say about a foolish person. To be called a fool, by the Bible definition, is to bring shame and hardship onto yourself and everyone associated with you (Proverbs 13:20). But what are the characteristics of a fool? 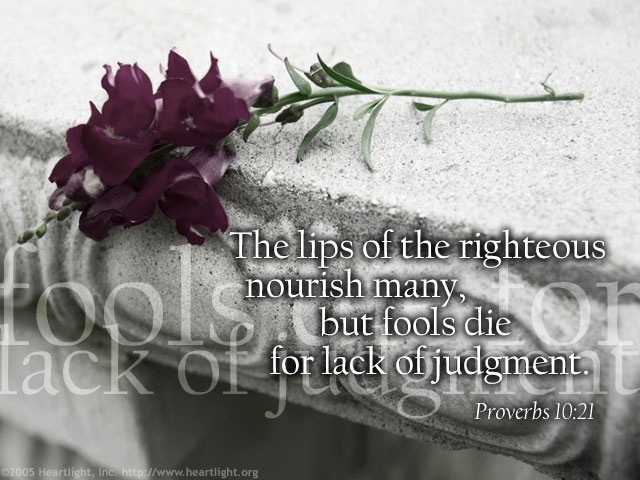 Let’s look at the book of Proverbs to see the way a fool is described so that we can avoid being foolish without even realizing it! The first character traits of fools are those related to pride. There is also a love of wickedness. I will let Proverbs do the talking. Please read the verses and see what God says about fools. 1. A fool despises wisdom. They already are fully convinced and no ne else has any advice or wisdom of value to offer them. 2. A fool is complacent about their spiritual condition. They have no interest or sense of urgency in changing their ways. 3. Fools flaunt their foolish and dishonorable actions for all to see. Their pride keeps them from realizing that the only one who doesn’t consider him a fool is himself. 4. A fool is destroyed by his own words. They have no thought of holding back from saying anything and everything they are thinking. 5. A fool seeks out new ways to sin. Wickedness becomes their hobby because they have no fear of The Lord. 6. The fool does not exercise any self restraint. 7. A fool rejects any discipline that would otherwise be used to correct him. 8. A fool brings shame to the parents who raised him, and it doesn’t phase them a bit. 9. Fools are dangerous to be around, so recognize and avoid them as companions. 10. Fools always find themselves being punished and just don’t comprehend why. They attract punishment! After reading all of these things which describe the behavior of fools, one might draw the conclusion that there is nothing worse than a fool. And you would be wrong. As bad as foolishness is, pride is more lethal and deadly.